This posts contains affiliate links, for which I may receive a commission, but the price to you remains unchanged. See disclosures for more information. I found Michael SanClements's book Plastic Purge while looking for another book at the library. 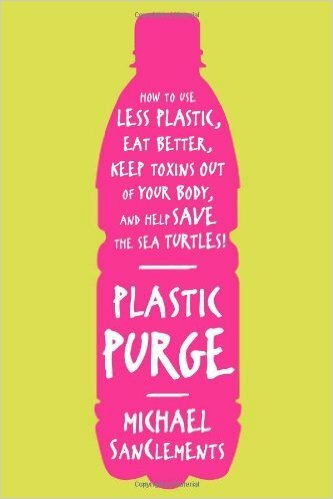 Technically the full name is Plastic Purge: How to Use Less Plastic, Eat Better, Keep Toxins Out of Your Body and Help Save the Sea Turtles*! I was not familiar with Michael SanCelements prior to reading this book. He was is known for writing about his experiences trying to go without using plastic for two weeks on Grist.com. However he is also an ecologist and scientist at the National Ecological Obervatory Network. While trying to go plastic free he realized how ubiquitous plastic is and it sparked this book. The book is divided into four parts: a history of plastic, how it is made and recycled, describing the good, bad, and ugly of plastic and then tips on how to purge plastic. The first two sections could easily become too technical, but he does a good job describing the processes in ways that make sense and are entertaining. I knew that different numbers of plastic meant they were different kinds of plastic, but I didn't fully understand that I could use those numbers to my advantage. For example, numbers 3 (PVC) and 6 (polystyrene) have the highest risk of leaching toxins particularly during heating. Whereas number 2 (HDPE) has a low risk of leaching. 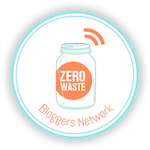 The author also weaves in many statistics about plastic bag production, recycling and use and encourages you to think critically about the statistics you hear. For example there was a study done by the UK Centre for Environment that found you have to reuse a cotton bag 173 times to match the energy saving of a plastic bag. Which makes one question why we are encouraging people #skipthebag. However, he also mentions that nonwoven polypropylene bags only need to be reused 4 times. Similarly he points out that cotton bags are renewable, hold more items and are sturdy enough to hold up to those 173 uses. In the third section he categorizes plastic as good, bag and ugly. He recognizes and gives tribute to the achievements our society has been able to reach due to the advent of plastic. Sterile health care products, refrigerated trucks, computers, cell phones and cars. However he feels we have become too reliant on plastic and it has moved into 'bad' and 'ugly' categories. Bad categories are due to the fact that many plastics leach pthalates and BPA which have been associated with health problems. Finally the ugly has to do with the pollution caused by plastics. Part four is full of tips on how to minimize the use of plastic in your day-to-day life. It ranks the tips from one bottle (easy to do) up to three bottles (a little more challenging). He is pretty thoughtful about his recommendations. Take milk for example, he says that glass bottles are best, but the next best thing would be the plastic milk jugs and not the "cardboard" half gallons. This is because the plastic milk jugs are HDPE so are less likely to leach into the milk and are easily recyclable. However the cardboard containers are coated inside and out with plastic, which have a potential to leach toxins and are generally not very recyclable. I would recommend this book for anyone wanting to know more about plastic and to get some tips on how to minimize it in your life. And his first recommendation for using less plastic at the grocery store is to #skipthebag. *This is an affiliate link, see disclosures. I haven't read this book or heard of it till now, but it's definitely on my list! Thanks for sharing! You are very welcome! It's always so sad, but motivating to read books like these.